Father Joe’s Villages participates in San Diego’s Stand Down to connect veterans with resources in San Diego. 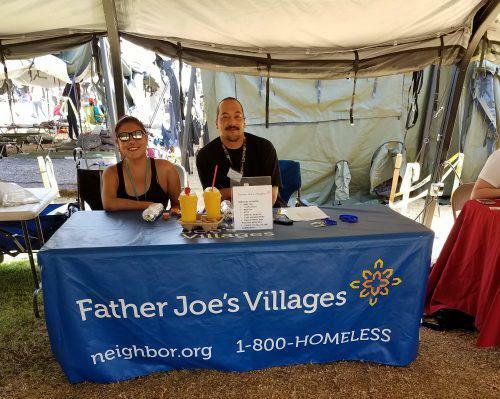 Every year in July, Father Joe’s Villages participates in the Veterans Village of San Diego and the National Coalition for Homeless Veterans’ Stand Down event. On July 18-20, dozens of organizations and thousands of volunteers gathered in a large grassy field at San Diego High School to offer resources to San Diego veterans. Stand Down began in 1988 in San Diego and spread to more than 200 other locations across the United States since that first event. 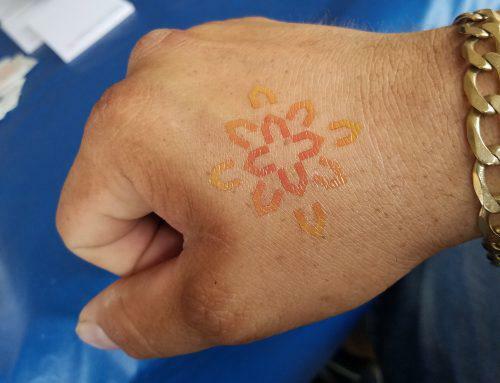 Stand Down reaches out to veterans who are homeless and connects them with organizations dedicated to helping them thrive. Stand Down not only offers a brief refuge from the stress of homelessness. It also presents tools that can help veterans permanently achieve safety and security. There is Homeless Court, family court, counseling, VA benefits, employment and job counseling, integrative medicine, recovery providers, shelters and more. Over 12,000 meals are served by veteran’s service organizations, service clubs, local chefs and businesses. During Stand Down, many organizations aim to make an immediate and lasting impact. 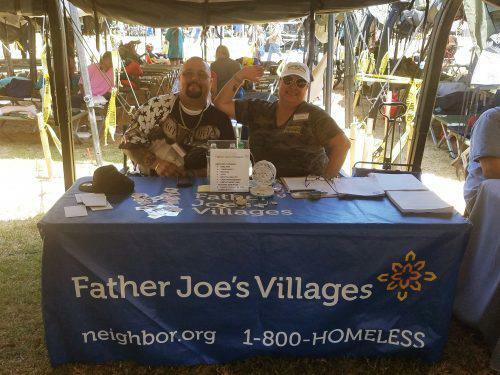 For example, Father Joe’s Villages’ Tenant Services team worked to move veterans off the street within the span of the three-day event. My favorite part about Stand Down—apart from being able to offer beds to veterans in need—is seeing veterans that we have helped in the past and are stably housed. They come and thank you for your assistance—although they were the ones who really did all the work. Veterans come back and are able to give back to other veterans by encouraging them to take steps forward to resolving [their] homelessness. This year, Father Joe’s Villages was able to take in 23 people, including single males, single females and families, directly from Stand Down. Getting resource providers in one location at one time allows veterans to be able to leap more hurdles in one weekend that would normally take weeks if not months to accomplish, as well as saving money on travel related expenses. Overall, the event served approximately 1,000 veterans and their families. Sources say that there were 9% less veterans present than the preceding year, which some indicate as a measure of success. In 2017, Father Joe’s Villages partnered with the Housing Our Heroes initiative to launch two new housing programs, Permanent Supportive Housing for Veterans and Rapid Rehousing for Veterans. Alongside the work of other organizations and events like Veterans’ Village of San Diego and Stand Down, these efforts bring us one step closer to ending homelessness in San Diego.